There is a sixth option: Flash the time separators, which I’ve not included as I don’t consider this to be part of the date and time format. defaults write com.apple.menuextra.clock DateFormat -string "EEE d MMM HH:mm"
The table below details all the possible valid combinations of the five date and time format options in System Preferences together with an example of how the date and time are displayed for each and the corresponding string value for the DateFormat key. 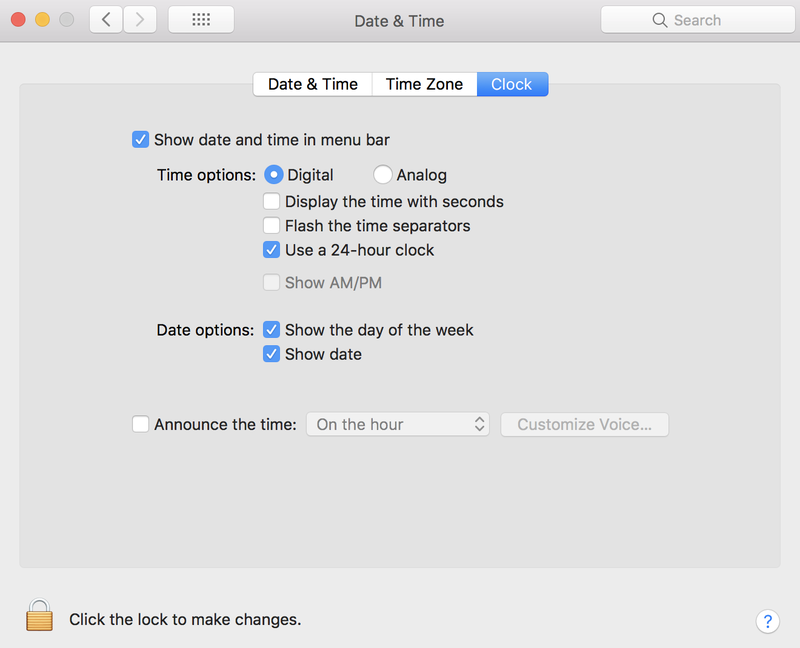 Note that Use a 24-hour clock and Show AM/PM are mutually exclusive options. thanks, Steve! worked perfectly in el capitan. who wants a dumbed down date and time?